I often hear people say things like, "I would eat healthier if it wasn't so expensive." Have you heard excuses like this? I'll even admit; I've had similar thoughts a time or two myself. Luckily, eating healthier doesn't mean you always have to shop at expensive health food stores. With a little creativity and lots of planning, you can make eating healthy a priority-even on a budget. 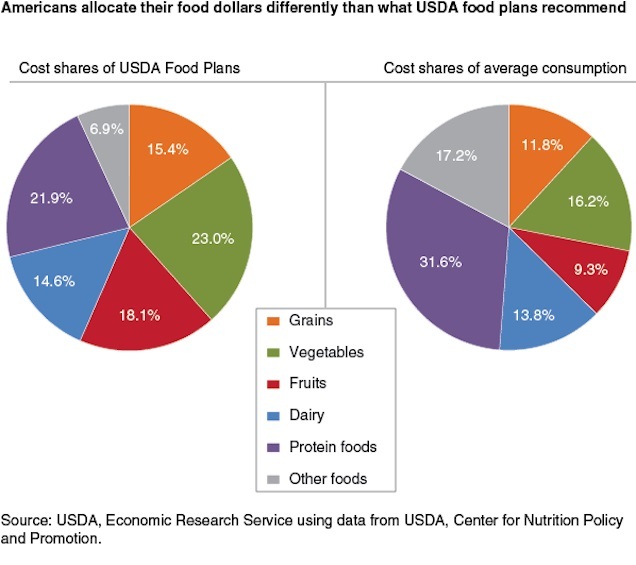 The USDA recently conducted a survey to find out what Americans spend their food budgets on. It isn't too surprising that we spend about half of our food budgets on meat and "other foods." Other foods include processed and packaged foods like chips, energy drinks, candy bars, canned soups, etc. We only spend about 20% of our food budgets on fruits and vegetables. How much healthier would we be if these numbers were reversed? Would we save money? According to a USA Today article from 2012 titled, Healthy food no more costly than junk food, government finds, "We have all heard that eating a healthy diet is expensive, and people have used that as an excuse for not eating a healthy diet, … but healthy foods do not necessarily cost more than less healthy foods," says Andrea Carlson, an economist and co-author of the report from the U.S. Department of Agriculture's Economic Research Service. "The price of potato chips is nearly twice as expensive as the price of carrots by portion size," she says. Start with Breakfast - Americans love boxed and bagged cereals for breakfast. They are convenient and supposedly full of essential vitamins… but they are expensive! And, in my opinion, not as healthy for you as other breakfast options. For one thing, most packaged cereals are full of sugar. Try eating oatmeal or another whole grain cereal for breakfast. According to the same USA Today article, grains are the least expensive food options. Eat Less Meat - Meat provides our bodies with needed protein, but we don't need as much meat as most Americans consume. Try planning at least one meatless meal a week. Or try cutting the amount of meat in your recipe by half. Eggs and beans are less expensive options for getting your protein. Don't Waste your Fruits and Veggies - Sometimes we buy more produce than we can eat and we end up throwing out a lot of it. You may have to make more trips to the grocery store or the farmer's market, but try to eat what you buy. You can be creative and add more produce to your meals or freeze what you think you won't eat right away. Rethink Snack Options - Americans love to snack on chips, boxed crackers, granola bars, energy drinks, etc. It's easy in our hectic lives to settle for snacks like this… don't! Cut up an apple and pack a small cup of peanut butter to go with it. Make your own trail mix with nuts and dried fruit. Eat a cup of yogurt with some oats on top. If you have a craving for cookies, bake a batch yourself instead of buying a bag of Oreos at the store. You will save money and they will be at least a little bit healthier. PLAN, PLAN, PLAN - I cannot stress enough the importance of planning in meal and food preparation. Watch the sales ads. Plan to eat what's in season and what's on sale. 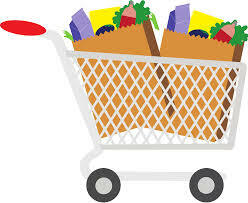 Watch for case lot sales and buy healthier foods in bulk. Have a meal plan that works for you and your family. If you know it's going to be a busy evening, put a meal in the crockpot ahead of time instead of eating out. Make a large pot of soup at the beginning of the week and eat it for lunch throughout the week. These are just a few ideas! What are your ideas for eating healthier on a budget?! Please share in the comments below. I hope you all have a happy and healthier New Year.